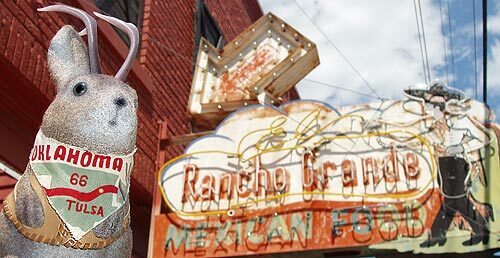 After winding up photography at Trek Expo 2006 this past Sunday in Tulsa, OK (pictures to come), we couldn't resist a short trip down Tulsa's 11th street, one of that city's Route 66 alignments. 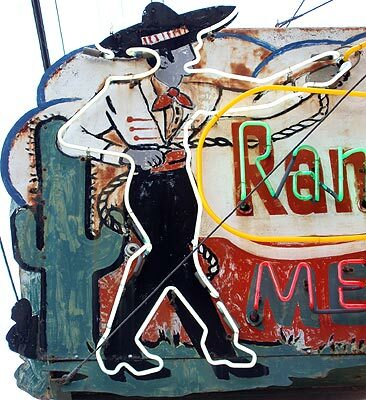 Anytime I see a man on a ladder beneath a neon sign I shudder and wonder if it's being replaced with some back-lit plastic chunk of banality. No worries in this case. 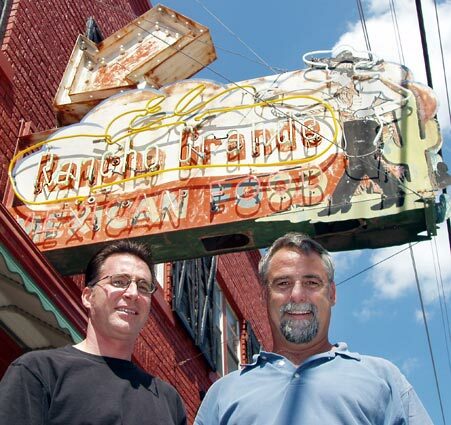 Terry Seay of Seay Electric Company in Tulsa (right) was working on the neon sign outside Rancho Grande Mexican Food for its owner, John Walden (left). 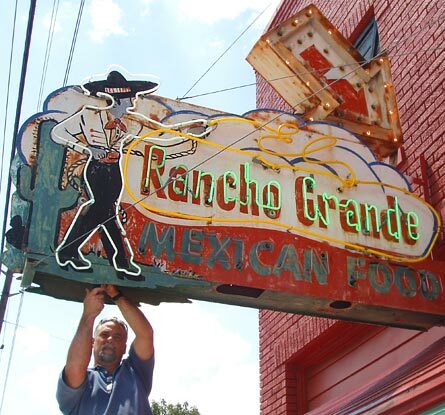 Walden says the sign dates from 1953 when then owner, Ruby Rodriguez, moved her business to this location at 1629 East 11th Street. He also says he wants to maintain the sign as it is, with a minor paint touch-up but nothing so dramatic as to alter its character. 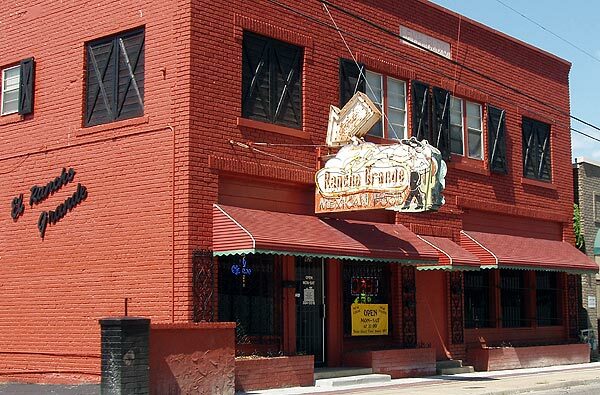 I demonstrated my appreciation of his preservation of niftyness by commenting with my dollars - I had a cheese enchilada plate and it was a fine repast. 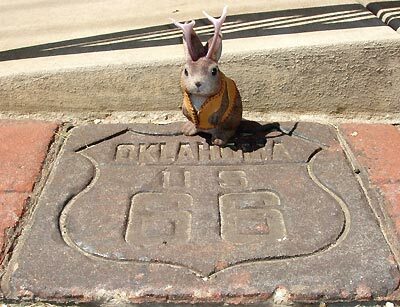 Ace Jackalope poses by one of the Oklahoma US 66 squares that dot the sidewalk in this block at regular intervals. They may be elsewhere, also; I didn't have time to look, but I will when I come back to Tulsa to see that sign at night. lol should have talked him into holding ace up to the sign.... since he was on the ladder anyway.. lol!